We promised to keep you updated on what’s happening in recycling bins around the U.S., and there are some changes that are turning heads. Skyrocketing costs have led cities like Memphis, TN and Deltona, FL, to stop their recycling programs altogether. While Philadelphia, PA and Sunrise, FL have turned to burning recyclables as opposed to sending them to a landfill. These are only a few examples of the hundreds of cities and towns across the U.S. that the New York Times is reporting have stopped recycling, passed along the increased costs to residents, or de-funded other services to support the increased costs of recycling. The Atlantic is reporting that cities like San Francisco have long faced a huge expense to remediate garbage and recycling and have taken to adding a fourth “r” to reduce, reuse, recycle. They are promoting “refuse” as the fourth “r.” Meaning, they’re educating residents about being more mindful about the kinds of items they’re purchasing. The city is asking its residents to avoid buying plastic bottles, straws and other single-use items. This comes in the wake of the ban on plastic bags and the city ordinance that passed requiring 10 percent of the beverages sold be available in reusable containers. Neither Minneapolis or St. Paul have publicized any changes on their web sites about changing their recycling policies or programs. However, we have heard that certain cities in the metro area are no longer taking the shredded paper that you are placing in your recycling bin after you’ve shred it with your home shredder. 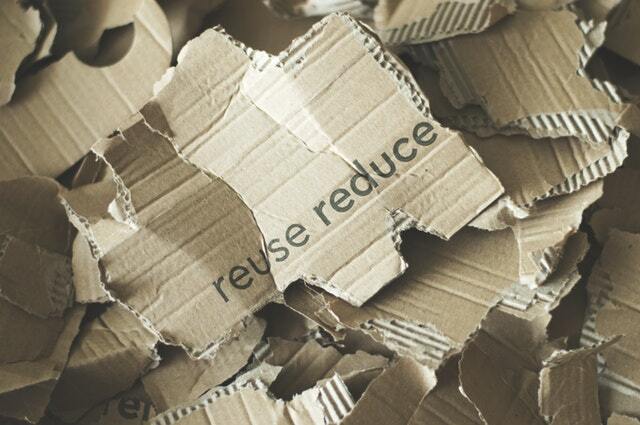 Recycling is our business. We’ll keep reporting when we learn of more changes to what’s happening inside your recycling bin whether it’s in our backyard, across the U.S., or across the pond.